After a successful testing phase, EuroVAT is ready to reclaim Hungarian excise duty on your behalf. 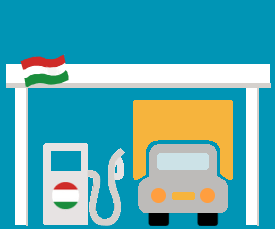 All transport companies based in Hungary or in other country of the European Union are subject to recovery of this fuel tax. Claims are submitted annually. You can recover 11 000 HUF/ m³ (≈ 35.59 € /m³) for the year 2015 and 7 000 HUF (≈ 22,54 € /m³) for the year 2016. Hungarian excise duty is refunded much faster than other diesel taxes: the repayment is made within 1 or 2 months after submission of the claim (statistical & non contractual information).